In 2019, the ABC Wisconsin Commission on Congregational Mission has discerned a focus on promoting Christian Education, especially Biblical Knowledge, Interpretation, and Application for Local Congregations, with special consideration for new teaching approaches. Christian Education Resources Review/Recommendations: The commission will distribute "reviews and recommendations" of current educational resources that churches may use for developing their Christian Education programs, in collaboration with CENTRAL Wisconsin. Mission Project: A fundraising project to support Christian Education in Chin State, Myanmar. 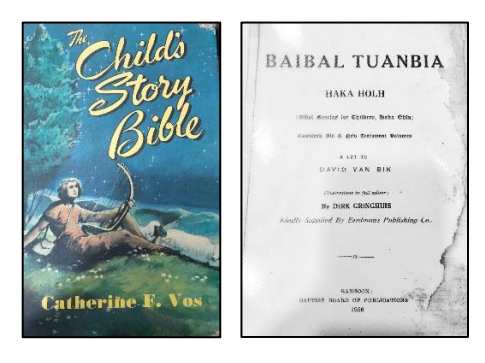 The region will be raising funds to support the publication of a Bible Stories for Children resource for home-based Christian Education. Download the bulletin insert here for full details. This project will take place from April 14th - May 31st, 2019. Please consider taking up a special offering during this time. We know that each church has its own efforts toward good work among your own congregations and within your mission fields. We trust, however, that the commission’s effort will support your congregation individually as well as call us together in common and mutual mission and ministries. Download the full letter from the Commission on Congregational Mission here.